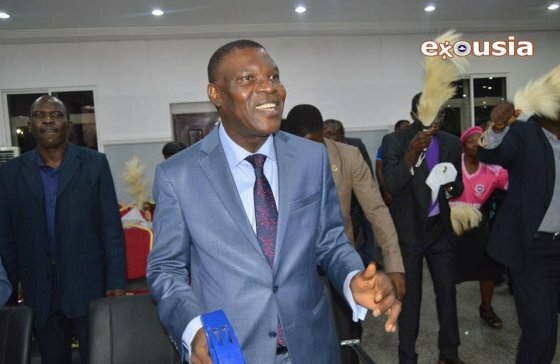 Pastor Joseph O. Obayemi, a member of the Redeemed Christian Church of God (RCCG) has been named by the General Overseer, Pastor Enoch Adeboye as the leader of the church in Nigeria. Adeboye who was said to have appointed Obayemi during a ministers Thanksgiving service on Saturday morning has led the church since 1981 after he was ordained by the church founder, Late Reverend Josiah Olufemi Akindayomi. Pastor E.A Adeboye made the announcement appointing Pastor Joseph Obayemi as national leader of RCCG on Saturday, January 7, which left his members and all the lovers of the man of God stunned since they were not expecting such a shocking move by the world renowned leader. Pastor Adeboye became the GO of the RCCG in 1981 and at age 74 (after more than three decades in the same post), he decided to allow a ‘fresh blood’ in the frame of Pastor Joseph Obayemi, to take the mantle of leadership from him in Nigeria while he remains the worldwide leader of the ministry. A video which shows an enraged woman chopping off the hair on her husband's mistress after she caught them in bed has sparked outrage online. 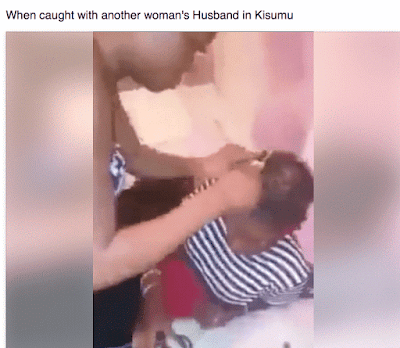 The incident happened in Kisumu, Kenya and shows the angry wife who could be heard speaking Luo, chopping off the mistress' braided hair with a kitchen knife. Video was uploaded online to warn current or intending mistresses against messing around with people's husbands. Enoch Adejare Adeboye, a pastor and general overseer of the Redeemed Christian Church of God (RCCG), only relinquished his position as head of the Nigeria church but will remain RCCG’s worldwide overseer, the church has clarified. According to a statement signed by Leke Adeboye, the clergyman’s last son and personal assistant, the announcement of a new Nigeria overseer was made in compliance with the new legal requirements set up by the Financial Regulations Council for all registered churches, mosques, and CSOs, which stipulate that heads of non-profit organisations like churches now have a maximum period of 20 years to lead their organisations while in retirement. Police are investigating whether the lone shooter who opened fire at the Fort Lauderdale-Hollywood Airport in Florida was mentally disturbed after he executed five people in the baggage claim hall with a gun he had checked in his luggage. Gunman Esteban Santiago (main), a 26-year-old Iraq veteran, opened fire in the airport's baggage claim area of Terminal 2 around 1pm on Friday. Santiago flew into the airport from Anchorage, Alaska (with a layover in Minneapolis, St. Paul) on Delta flight 2182, and checked a gun in his luggage for the flight. After reclaiming his bag, he loaded the handgun in a bathroom and then opened fire in the baggage claim area. Among the first of the victims to be named is Terry Andres - a 62-year-old grandfather who was at the airport with his wife to go on a vacation. Santiago is believed to have had a history of mental problems. Sources have told CBS news that Santiago walked into an FBI office in Anchorage in November last year claiming he was being forced to fight for ISIS. After that incident, Santiago started getting treatment for his mental health issues. His brother speculated that Santiago may have suffered a 'flashback' from his time in Iraq, despite not being diagnosed with PTSD. He was deployed to Iraq for one year in 2010. 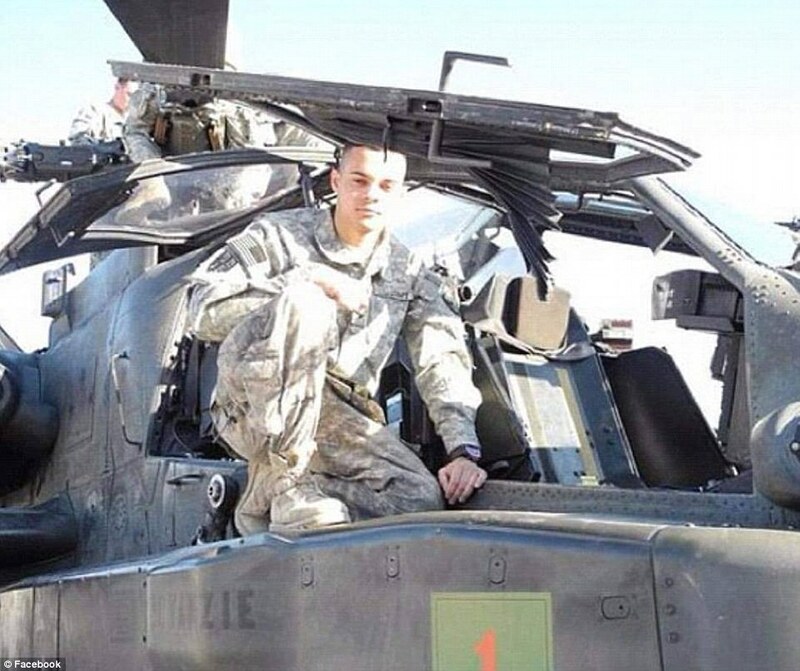 He received a general discharge for unsatisfactory performance from the Army National Guard in August last year. The motive for the shooting is still not known, but Florida Sen. Marco Rubio told CNN that Santiago may have gotten into an altercation on his flight earlier that morning. Authorities say Santiago was acting alone. Santiago lived in Anchorage, Alaska from 2014 to 2016, where his girlfriend and child continue to live. 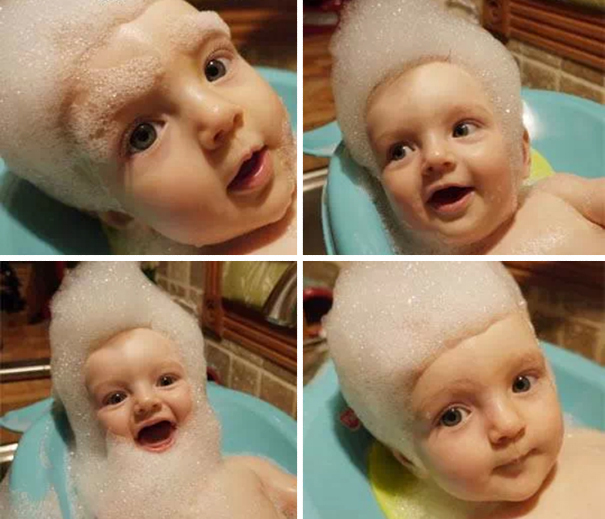 His aunty said Santiago had returned from Iraq acting strangely but had seemed happy since the birth of his child last year. 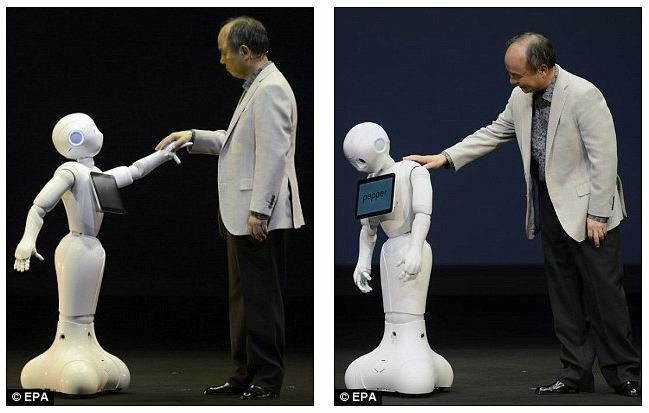 Pepper, a humanoid robot that can feel emotion and look after its owner, sold out a minute after going on sale. The robot went on sale, after much anticipation and build-up. A minute later, all 1,000 had been sold, with customers paying the equivalent of £1,000 each for the robot and then monthly insurance and data fees on top. 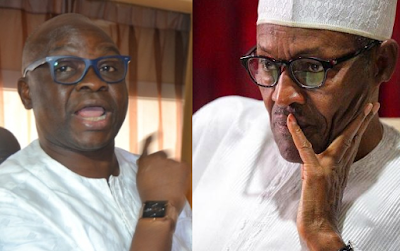 Ekiti State governor, Ayodele Fayose, may have run into fresh trouble with the Federal Government after it was found that he collected the sum of N8.877 billion from the N388.304 billion released to 35 states as refunds from over-deductions on London-Paris Club loans but only paid one out of the eight-month salary arrears he owed workers in the state. Fayose was also said to have paid a curious 13th month salary as bonus while the arrears of seven-month salaries owed the workers were left unpaid. It hasn’t even been 24 hours since Nicki Minaj confirmed her split with Meek Mill and Soulja Boy already wants to step in! Soulja Boy, fresh off his drama with Chris Brown, took to Instagram to declare his ‘Love’ for the songstress in a series of affectionate photos! He has since deleted the photos. 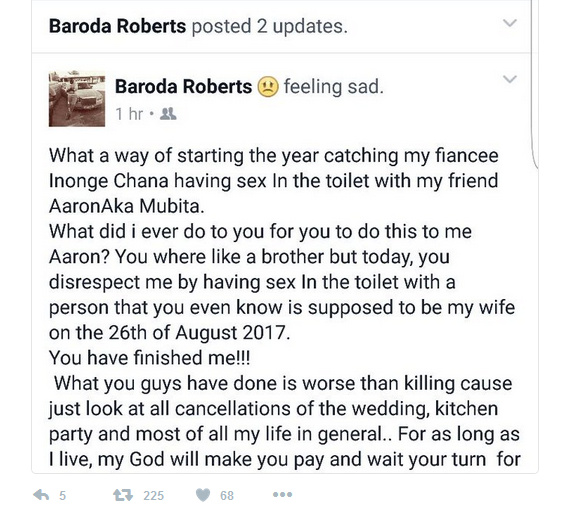 A Kenyan lady is currently fuming mad after her witch doctor failed after promising her a husband and wedding in 2016 but it’s now 2017 and she’s very much single and there's no man around. 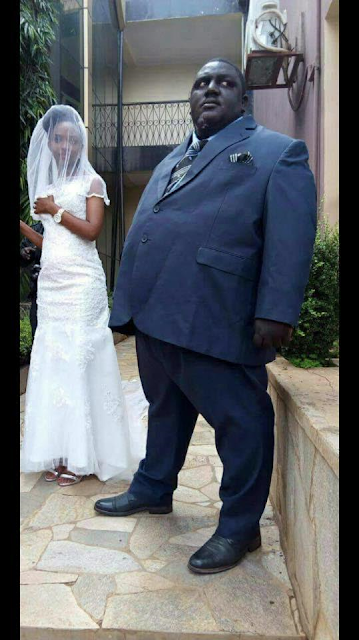 The single and searching lady was reportedly issued with a list of demands by the witch doctor identified as Abdalla Koka, in order to make the wedding happen, including bow-legged ants, a hen, dust from a Modern Coast Bus as it passes Voi town and the vehicle was to be driven by a specific driver. Nigerian criminals operating from hideouts in Africa’s most populous black nation have tremendously brought opprobrium to Nigeria and further shatter the good image Nigerian Government hold tenaciously in the face of the International community by engaging in cloning, creating fake cashier’s checks and money orders which are used to defraud genuine American banks to the tune of $3million in various tranches. Doctor Helps Woman Deliver Baby In A Keke Napep In Enugu. 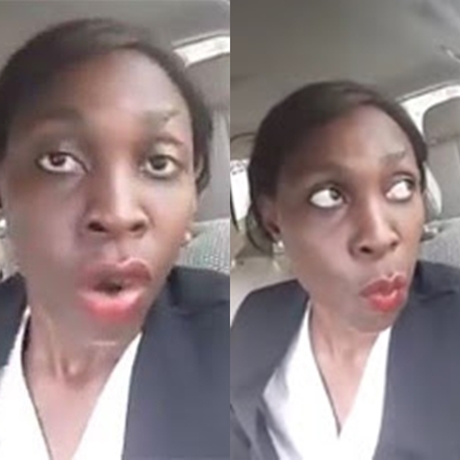 A Nigerian doctor, Ogoo Ekete has been hailed after helping a pregnant woman in labour deliver her baby while traveling to the village in Enugu state. According to Seun Oloketuyi, the delivery was done in a tricycle a.k.a 'Keke Napep' with the aid of a torchlight from a mobile phone. China is serious about their desire to take the attention of the world to the Chinese League and it is in this light that they are spending large, buying top players from the English and Spanish leagues with multi-millions dollars. The Chinese have the money. 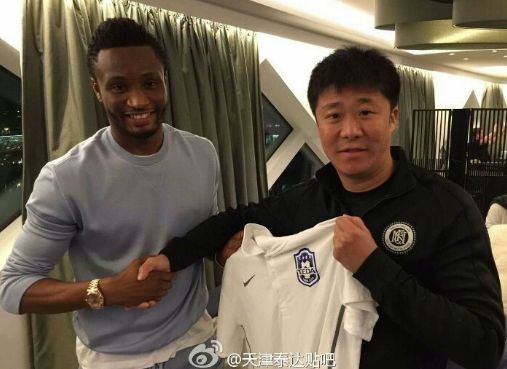 The latest catch for a Chinese club, Tianjin TEDA, is Nigeria's Mikel Obi. Ghanaian president-elect, Nana Akufo-Addo, has announced 53-yr old Saratu Atta as his personal assistant. 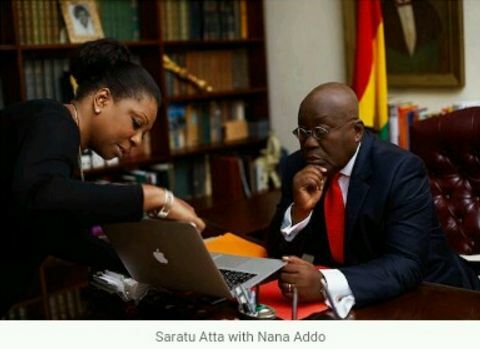 Saratu Atta is one of Femi Fani Kayode's ex-wife who is also the daughter of the former Governor of the old Kwara state Alhaji Adamu Atta, has just been appointed as an assistant to Nana Addo Akufo-Addo the President-elect of Ghana. Her mother is a Ghanaian and she was raised in Ghana. Last December, actor Prince Eke hinted that his marriage to singer Muma Gee was in trouble after he shared a photo of their three children on IG and stated that their mother had abandoned them with their nanny for four weeks. He also added on his IG profile that he is now a single father of three . LIB reached out to him today and he affirmed that indeed his 4-year marriage to the singer is over and that they are heading for a divorce. 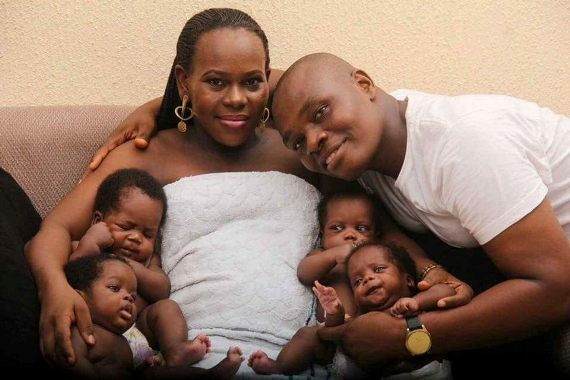 He also disclosed that Mumagee was almost arrested after he reported her to the social welfare when she abandoned their kids for three weeks. THE head of Gambia’s army has given his full backing to the country’s president, Yahya Jammeh, amid a deepening political crisis. 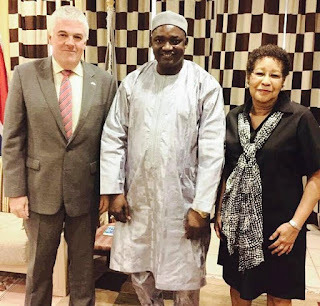 Mr Jammeh suffered a surprise electoral defeat last month to Adama Barrow. He initially accepted the result but changed his mind days later, citing electoral “abnormalities”. In a letter to the pro-government newspaper, Gen Ousman Badjie pledged the “unflinching loyalty and support of the Gambia Armed Forces” to Mr Jammeh. 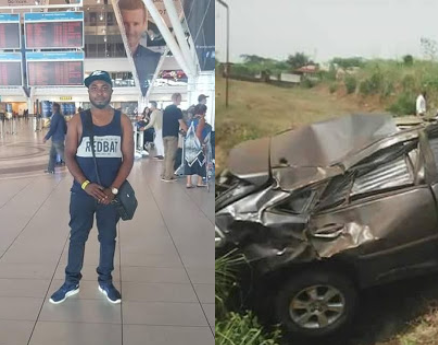 A female corps member, Ezinne Okorie who survived a tragic accident on her way to NYSC orientation camp took to Facebook to thank God for sparing her life. A fight broke out between an Arik manager and passengers at the Lagos International airport yesterday because Arik had reportedly delayed their flights to Johannesburg South Africa for 3 days without notice. Runaway Premier League leaders Chelsea are looking for a record-equalling 14th straight victory when they take on Tottenham at White Hart Lane but their bitter rivals know a home win would blow the title race open. 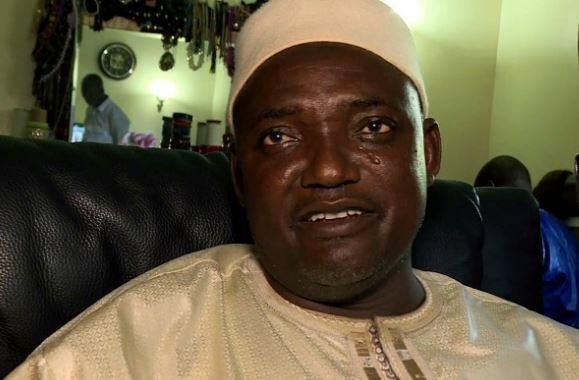 Contrary to viral reports, Gambia’s president-elect Adama Barrow is alive, sources from The Gambia have confirmed. Reports about his death claim he was assassinated by unknown assailants. CBN Television reported that the assailants overpowered the security guards of Mr. Barrow, leaving two of the guards dead and other six injured from gunshots. 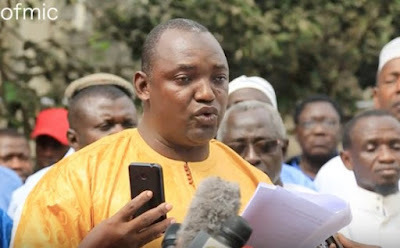 Gambia’s president-elect Adama Barrow who vowed to take office on January 19 despite the refusal of outgoing President Yahya Jammeh to give up power has been killed by unknown assailants. Obasanjo Blasts Oba Adetona Over His Autobiography Book “Awujale" Says, "Kabiyesi, You Are Petty And A Liar "
The extract from your Autobiography “Awujale: The Autobiography of Alaiyeluwa Oba S. K. Adetona, Ogbagba II”, published by Mosuro Publishers 2010, pp. 187-195, which I attach to this letter was presented to me for my attention. 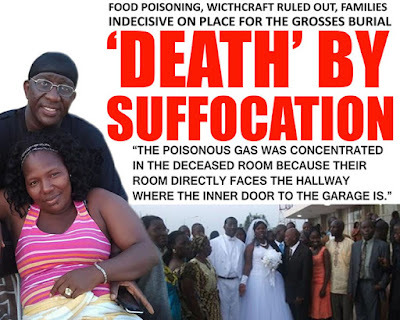 It was reported yesterday that a Liberian couple based in Minnesota lost their lives after they returned home for Christmas and allegedly ate poisoned food served by their brother. 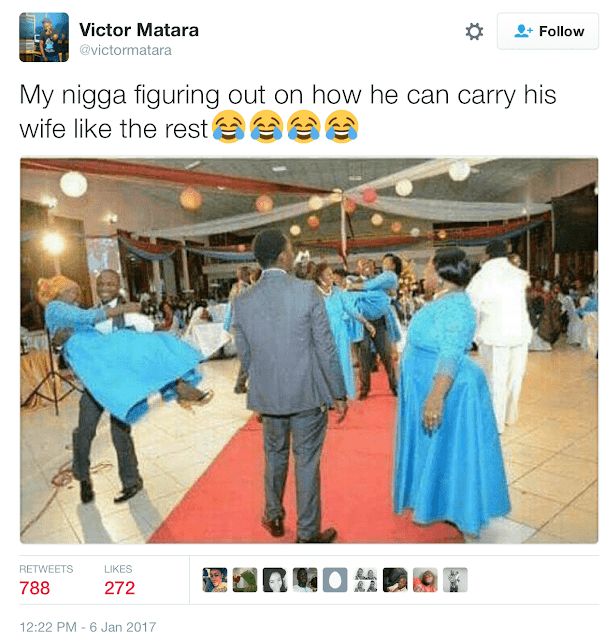 FrontPageAfrica has authoritatively gathered from family and investigative sources that the death of the couple whose remains were found on December 25, 2016, their wedding anniversary day, at their Chocolate City residence in Monrovia, was a result from asphyxiation, secondary to carbon monoxide. Nigerian soldiers who revolted against their superior officers inside the dreaded Sambisa forest in December were protesting the poor treatment meted out on them by military authorities. Information indicates that the breakdown of discipline among soldiers of the 21 Brigade of the army deployed to fight Boko Haram in Sambisa, Borno State. The soldiers had turned against their superior officers, protesting and shooting indiscriminately. But soon after we published the report, the army denied that the soldiers ever revolted against their superior officers. Long gone are the days when personalities shied away from cameras or publicity. These days the advent of social media has encouraged more and more of these people who were just 'popular names' to share their personal lives directly with their fan base. There might be looming trouble in the political sphere following the visits of some APC governors to their PDP counterparts. Some Governors from the All Progressives Congress (APC) have stirred controversy by visiting Rivers State Governor Nyesom Wike and Akwa Ibom State Governor Udom Emmanuel, who are of the Peoples Democratic Party (PDP). The APC governors, who visited their PDP counterpart are: Abdulaziz Yari (Zamfara), Aminu Waziri Tambuwal (Sokoto) and Atiku Bagudu (Kebbi). The incident caused a minister to protest to the APC leadership over the incident. Hype Naija, a news blog is reporting that the popular comic actress, Jenifa is expecting her first child with newly married husband, singer and businessman, Abdul Bello who goes by the stage name JJC Skillz. Thousands of people have reportedly stormed the house of Senator Bukola Saraki, Nigeria’s Senate President, just to receive a cup of rice and N200. According to a Facebook user who shared the post on his wall, the people trekked several kilometres to collect this food item and there was a massive queue at the collection point. He described this act as that of poverty which showed just how much the people in the state must have been suffering despite the fact that the Senate President is from their state. The importation of Premium Motor Spirit (PMS) into Nigeria is to gulp extra cost of over N2.369 billion per day from Federal Government and marketers as the landing cost for fuel has soared to N212.7 per litre. This came as oil prices hit their highest levels since July 2015 with Brent reaching $58.37 and $55.24, before paring gains on the strong dollar. 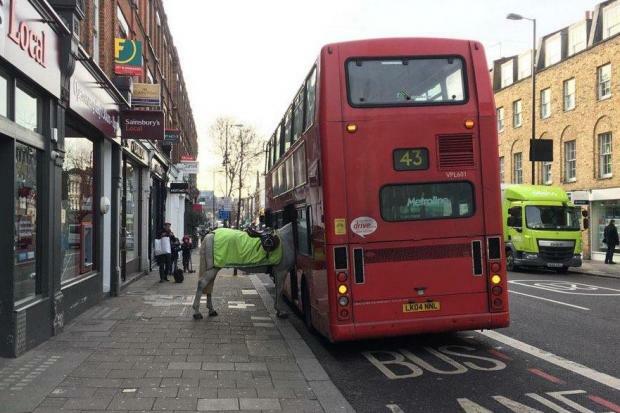 Passers-by encountered a bizarre sight in north London today when they saw a police horse appearing to get on a double decker bus. A photo shows the Met Police horse standing on the pavement in Upper Street, Islington, with its head peering into the red bus. Recall the story of the man who beat up his wife then stabbed her in her private part on Christmas day.
" new year with the rents "
Actress, Funke Akindele and Her husband, JJC yesterday held a house warming party in their new Lekki home. The house apparently, is located in the Ibeju Lekki area of Lagos.. Inside Amen Estate to be precise. Yesterday January 2nd, 2016, Funke Akindele and husband JJC held a house warming / New year party at their new home in Lagos. Many celebrities were in attendance.